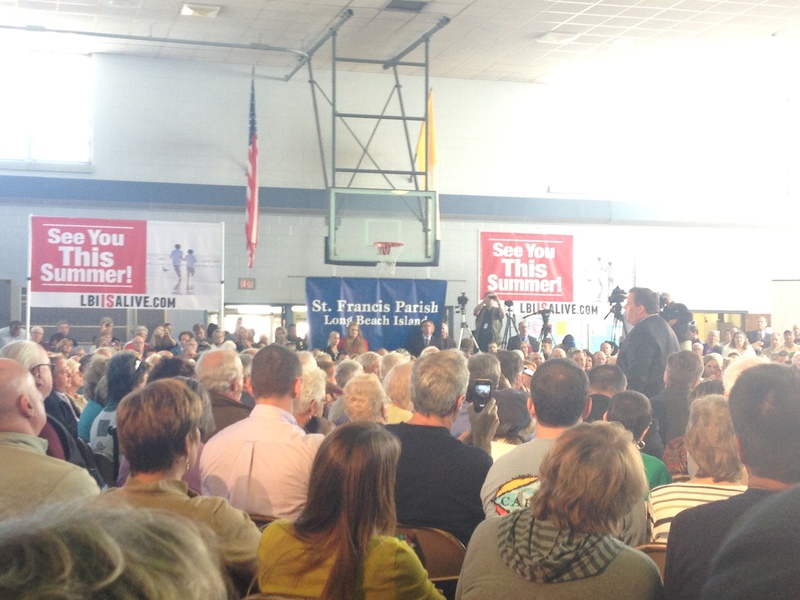 Governor Christie came to LBI today for his 107th town meeting. As we walked to the St. Francis Center we saw new, larger See You This Summer yard signs. We then had to join the huge snaking line to get inside. Once inside we took a seat near what we assumed was the entrance and exit walkway to get some good pictures. Looking back towards where we walked in, we saw two HUGE banners! Which would act as the backdrop for all the cameras recording the town hall (or so we hope). It was a great town hall, progress is being made and will continue to do so. Check out 6abc, Fox and Channel 9 WOR (I am not sure where or who they are, maybe NYC?, but I saw the truck) for total coverage. It was a positive meeting and I think we all learned a lot of new, helpful information. And thank you to Governor Christie for coming down and taking the time to speak to us. What I can tell you, is that the bay will be cleaned up by June and dredging of the inlets will start as well. The new FEMA flood maps and elevations will be posted in 3-4 weeks. And the dunes ARE going to be replenished — end of story, according to Gov Christie. 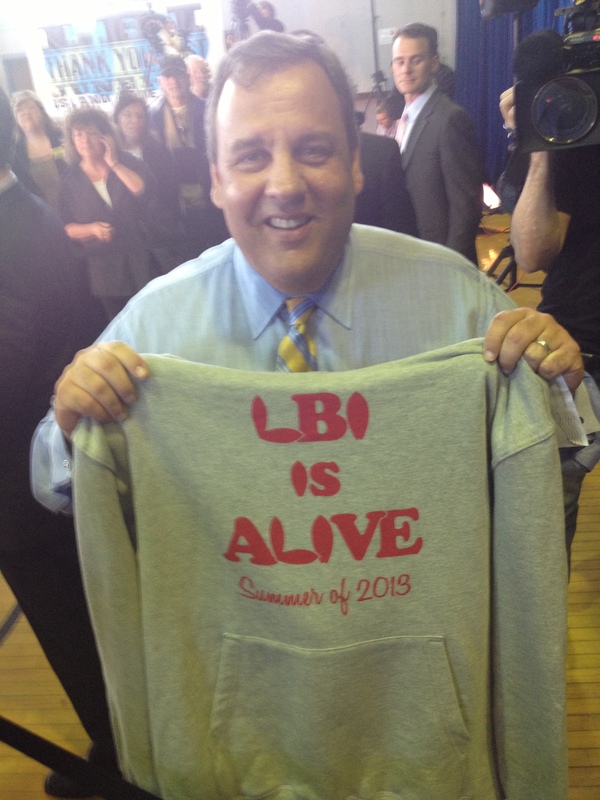 My “end of story” spiel: Be like Christie, get your LBI is Alive Apparel. 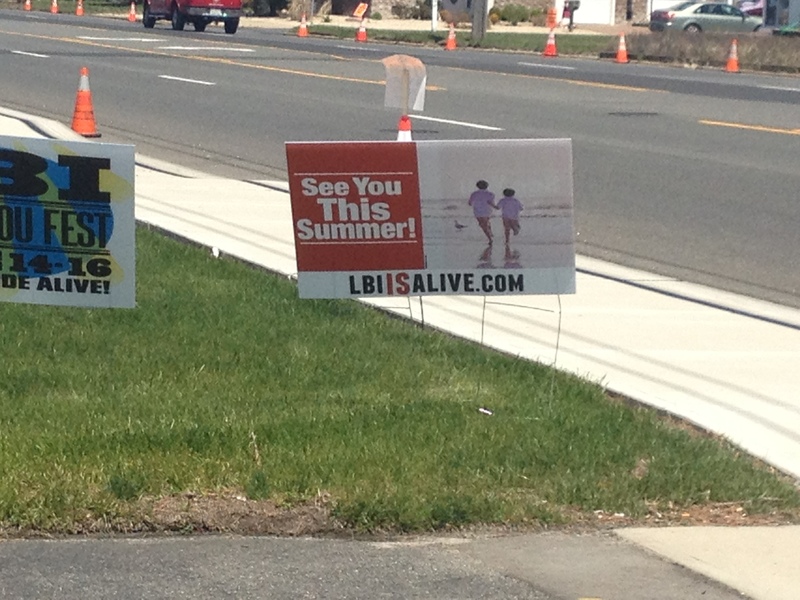 He shows LBI is Alive and you should too! The “crisis fleece” has had its time, now it’s time for the LBI is Alive hoodie to make an appearance. Great meeting today very informative! !